Agnieszka lives in a slightly alternative historical Poland, in a village between The Dragon's tower and the sinister Wood between Poland and Russia. 'The Dragon' is a title, not a species. He is really a powerful wizard. Once every ten years, The Dragon picks out a seventeen-year-old girl from one of the surrounding villages. The girl has to stay with him in his tower, unseen for ten years, and she is only released when he picks her replacement. The Wood, meanwhile, is a forest fuelled by a monstrous will, fighting a long and brutal battle against the people. The Dragon is the bastion that keeps the Wood at bay and protects Poland from its malevolent influence and infectious monstrous creatures. So starts Uprooted, a novel seeped in archetypal fairy tale aesthetic. The atmosphere of the setting is quite rich while the first person narration is more down to earth. Agnieszka does not tell her stories in melodramatic tones, but in the voice of a girl who is a bit of a tomboy, permanently messy, and perfectly disinterested in her appearance or girlish behaviour. So far, so good. 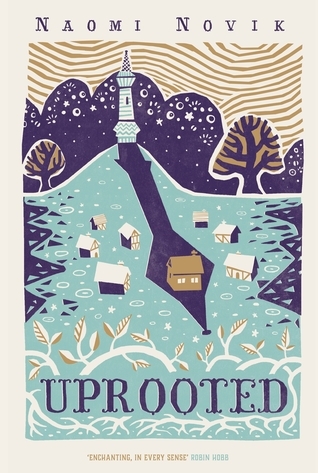 But Uprooted is not just a setting; it is a story. It's a story of apprenticeship, of magic and of courtly intrigue. Most of all, it is a story of a young woman and a very powerful wizard. That's where I quickly find myself suspecting that I am not the target audience. The dynamic between The Dragon and Agnieszka is not one I enjoyed reading - in fact, I rather disliked The Dragon even though I suspect the reader isn't supposed to. On the other hand, as soon as Agnieszka was having her own adventures, I was totally engrossed. Fortunately for me, Agnieszka does have plenty of exciting adventures, so there was much for me to enjoy. 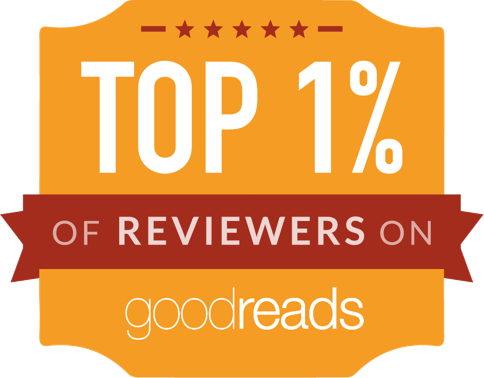 I suspect that not all readers will share my dislike of The Dragon. Even those who do will find the world of the story and the adventures delightful. I'd go as far as saying Uprooted is slightly superior to the Temeraire novels I've read so far - and for readers who feel differently about The Dragon, it may be an absolute favourite. Hmmm, sounds fun enough. I'll have to pick it up when it comes out (or is it out now? I don't remember, but ARCs seem to have gone out relatively recently), but maybe I'm glad I didn't get it as an ARC... I already have enough to catch up with.